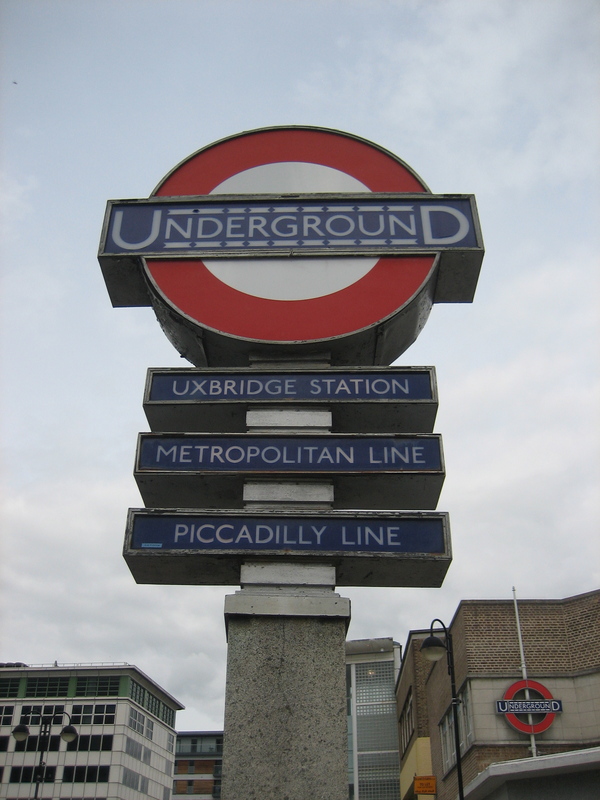 I could have rounded up all of this station’s treasures in one single entry, but that would have made for a very long read where too many delights jostled for too much attention. 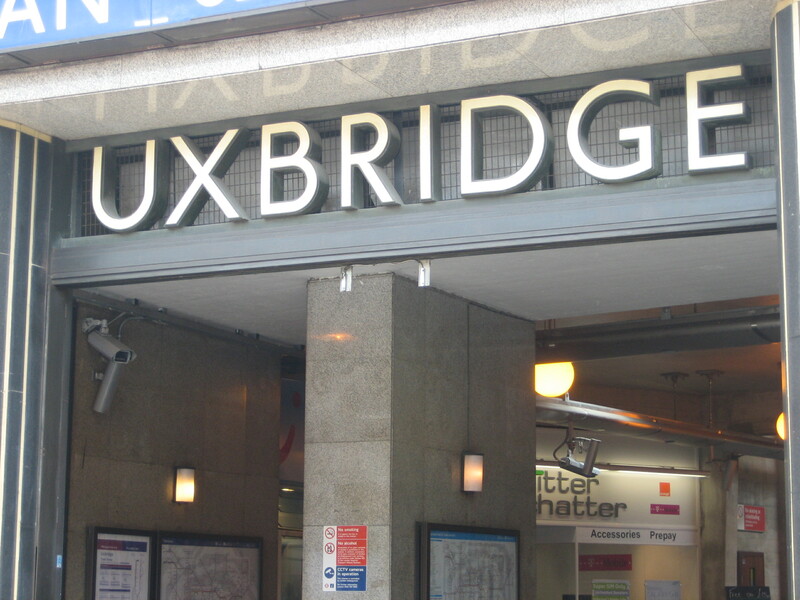 So this is the third time I’ve doffed a hat to Uxbridge, and the first in which I’ve stepped outside its walls to see if the exterior holds its own against the glittering interior. Welcome to a Bridge of sighs. 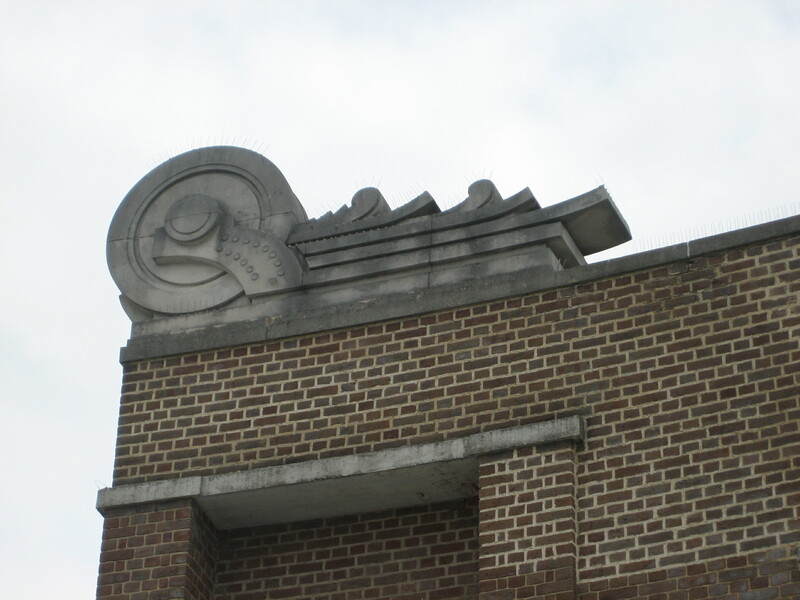 The beautiful sculptures on the top are by Joseph Armitage, who also designed the National Trust oak leaves symbol and provided carvings for a number of the UK’s finest inter-war institutions, including the former Commercial Bank of Scotland in Glasgow. In a literal sense, the sculptures are wings with wheels. But to me they represent something of the thrill and the wonder that you experience, unprompted, at the start of any long journey: sensations that bloom when you’re a child, but which surely linger inside you somewhere for the rest of your days. Anything that also commemorates the progressive power of technology is fine with me. Those wheeled wings get extra marks for including leaf springs. I’m normally suspicious of a man of letters, but I’d make an exception for these. Charles Holden and L H Bucknell designed the entire station, including the sleek and dashing entrance, through which characters from Dennis Potter’s Pennies from Heaven quite possibly passed on their way to their latest emotionally cathartic flashback or song-and-dance number. 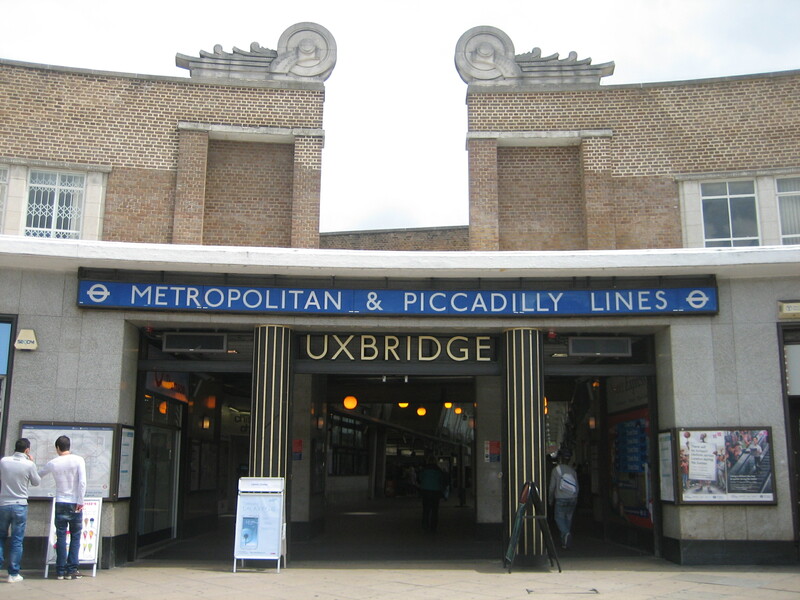 It might be 15 miles west of Charing Cross, but Uxbridge station is one of London’s finest monuments.